Do your headlights appear cloudy, dull, hazy, yellow, discolored or foggy when you drive at night? 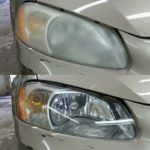 You need a headlight restoration!!! 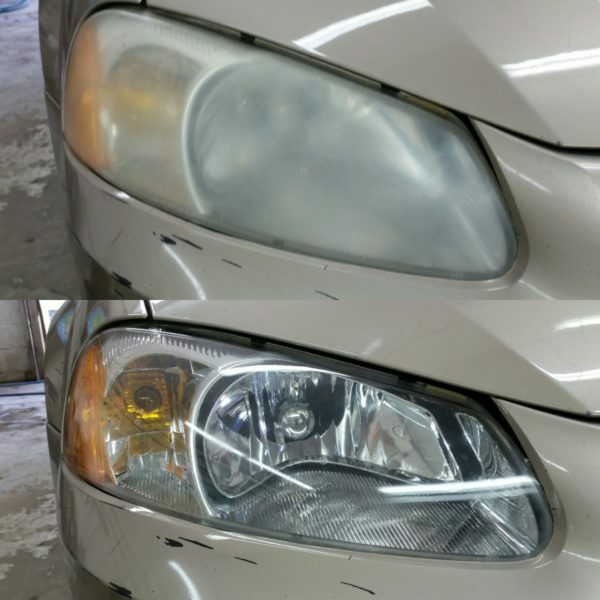 Headlight Restoration is a GREAT way to increase your vehicle’s appearance, safety and value. With our unique five-step process we will restore your headlights! 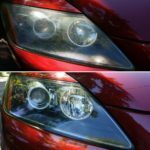 Check out our pictures down below with customers that have come in to get a Headlight Restoration, the before and afters are amazing! The headlights come out looking wonderful and brand new again! For more information, Check out our Headlight Restoration here! Call us today to book your appointment with us at Shamerrific Shine! Has your car been dirty from kids climbing in and out of your car everyday for the past school year? Do you want it to look brand new again or smell better than it does now? No worries, we can help you! 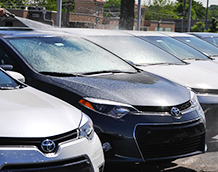 Its summertime and we want you to have that new car feel again! Come into our Kansas City location off of Shawnee Mission Parkway to get your car looking brand new! The Ultimate Detail gives your car that brand new look you’ve been wanting since last summer! 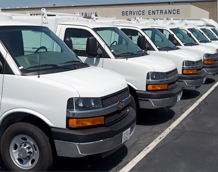 We prep the vehicle and pretreat with a biodegradable cleaner to alleviate dirt and debris build up. The interior seats, carpet and floor mats are deeply shampooed. We finish off with our Five-step hand Wax N’ Wash which has a 1.5 year wax protection to make your car looking brand new! For more information Check out our Ultimate Detail here! 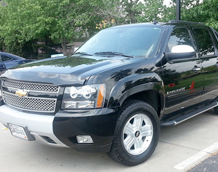 Call us to book your next appointment with us at Shamerrific Shine Auto Detailing located in Overland Park, Kansas! Waxing not only makes your vehicle look shiny and brand new, it also provides a sacrificial layer on top of the clear coat so that when you wash your vehicle and remove dirt or debris, you’re not directly damaging the clear coat. Wax gives the paint a good gloss and is a solid line of defense against scratches. We want to make sure your car comes out looking brand new! First, we wash the exterior with our Wax N’Wash. Then we apply a carnauba wax cleaner by hand over the entire vehicle. We then low-speed buff it into the vehicle to leave a nice shine with lasting protection. Buffing off the wax helps to embed it into the clear coat and improve the shine. 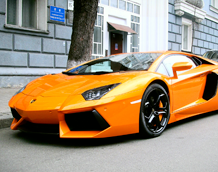 By waxing your car it protects your vehicle from abrasive car washes and keeps it from oxidizing. Come stop in at Shamerrific Shine to get your Shamerrific Shield Hand Wash done! Seat Cleaning Did something spill in your seats or maybe they just have dirt trapped? We are the professionals that clean them properly and thoroughly. 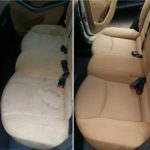 Your seats will look and smell new again when we’re finished, keeping you healthy and your driving experience enjoyable! We perform a three-step deep cleaning on leather and fabric to restore it to new condition. 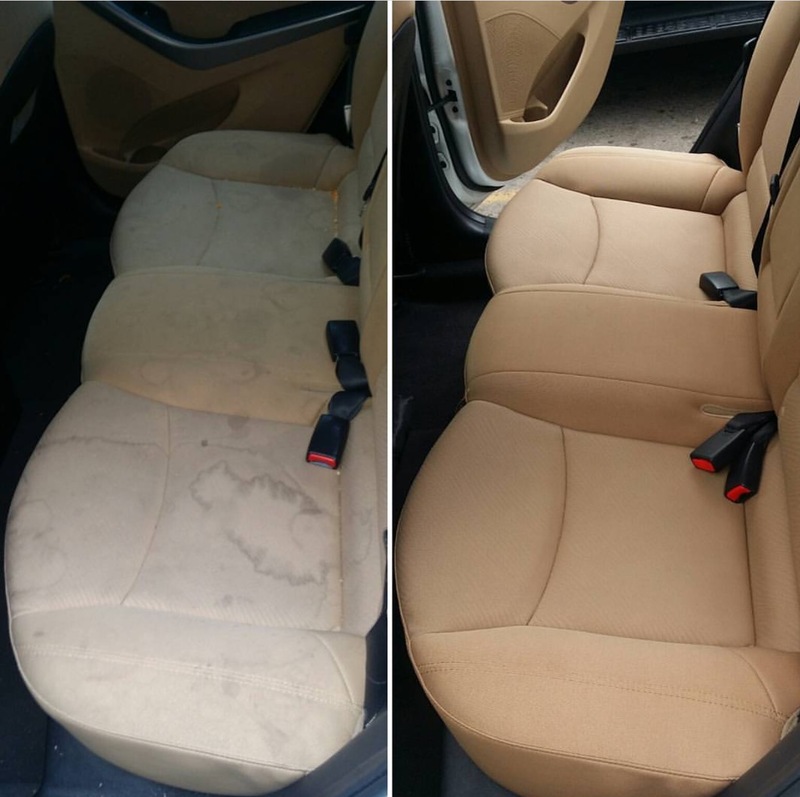 We provide a deep cleaning on the carpets and seats to eliminate heavy debris. Using a spray cleaner and our proprietary tool, we spray the vehicle, scrub until the debris is gone and the smell is normal. Then we blow the interior dry and vacuum anything remaining. Fabric and leather protectants seal in the hard work we did to make your seats look pristine for a long time. Come check us out at Shamerrific Shine in Kansas City!